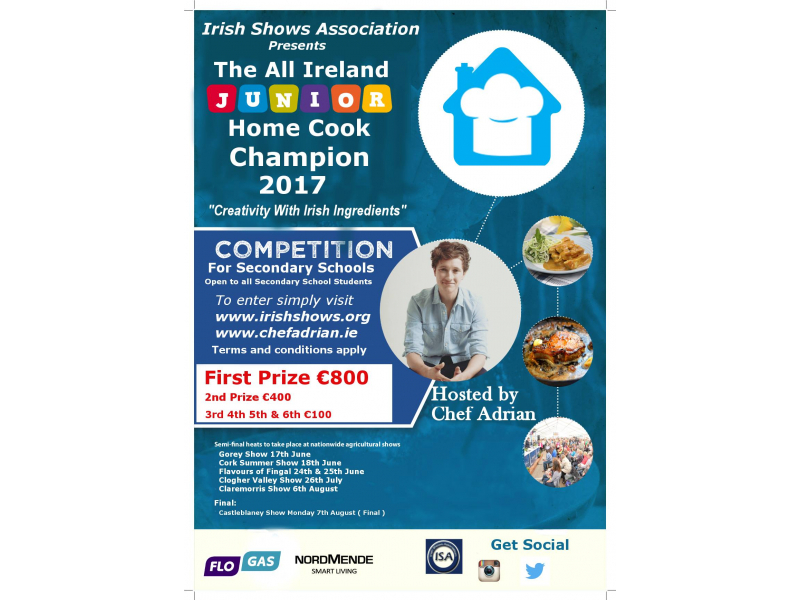 The Irish Shows Association are delighted to announce the venues for the live amateur cooking competition “The All Ireland Home Cook Champion “2017. 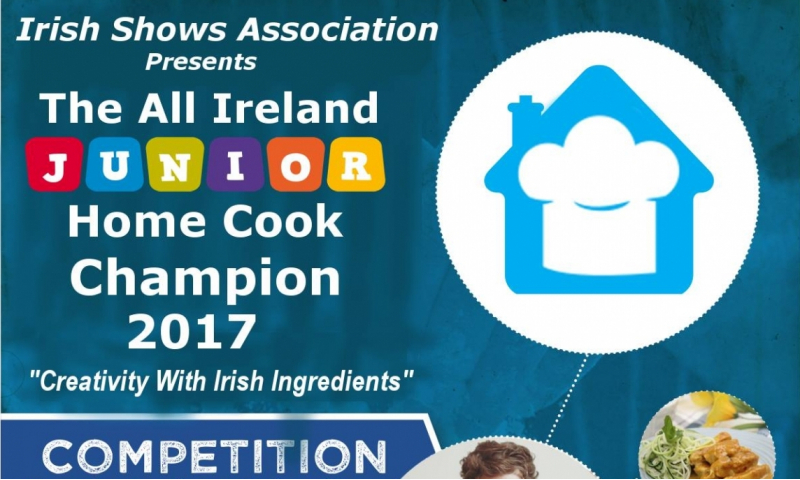 The Competition will be run in association with the Irish Countrywoman’s Association (ICA). 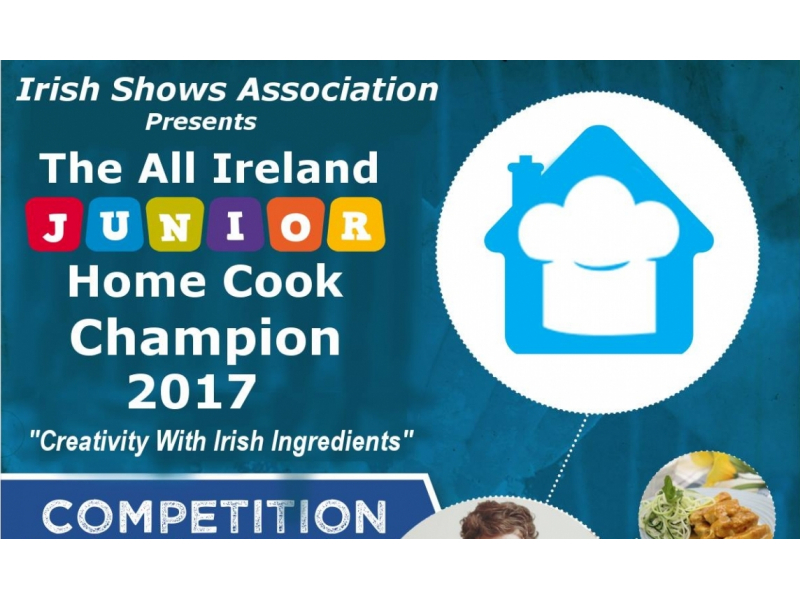 Competitors can apply the Gorey Agricultural Show to qualify for the regional heat. 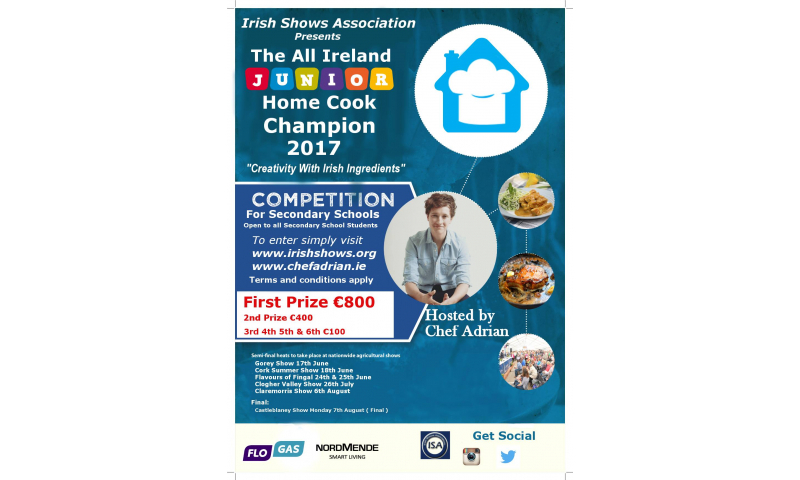 After an evaluation process finalists will then cook off live at six national shows, 5 regional finals and The All Ireland Final. 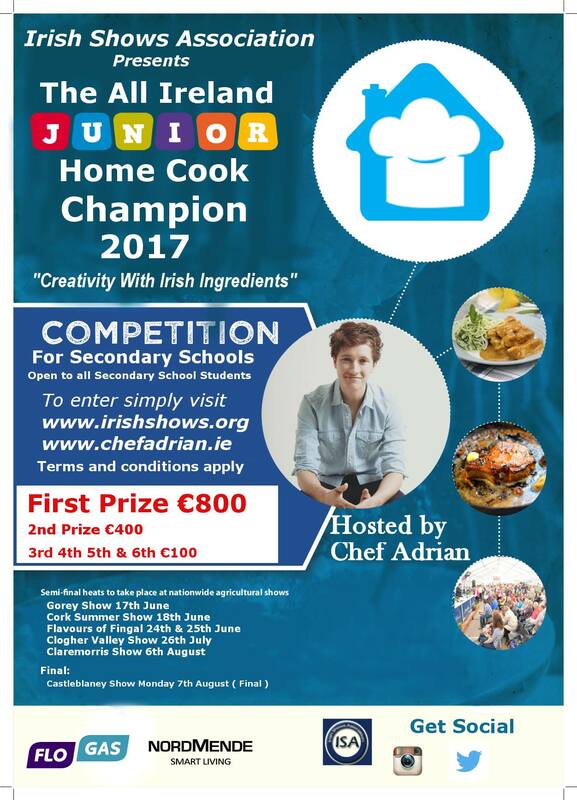 The competition will be run alongside cooking demonstrations by TV3 and RTE chef Adrian Martin (Chef Adrian). 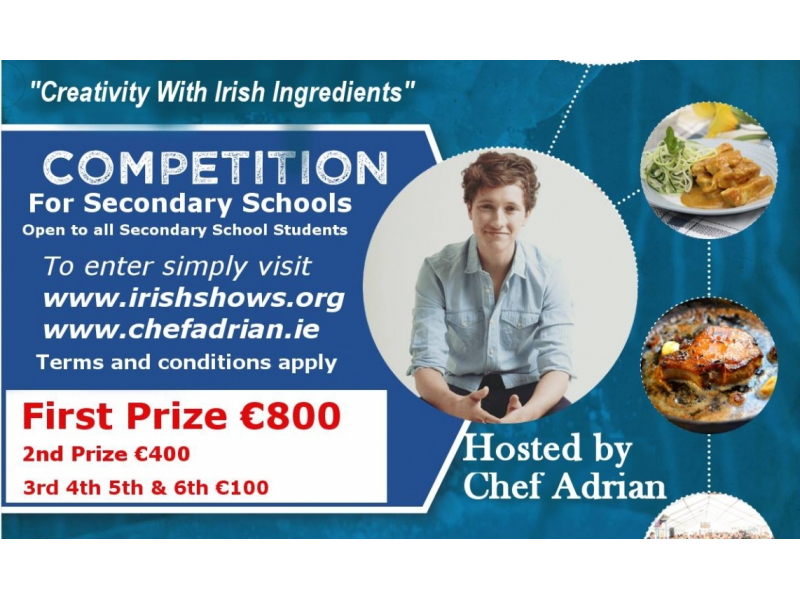 The cooking demonstrations and live cooking competition will take place alongside an artisan food village. 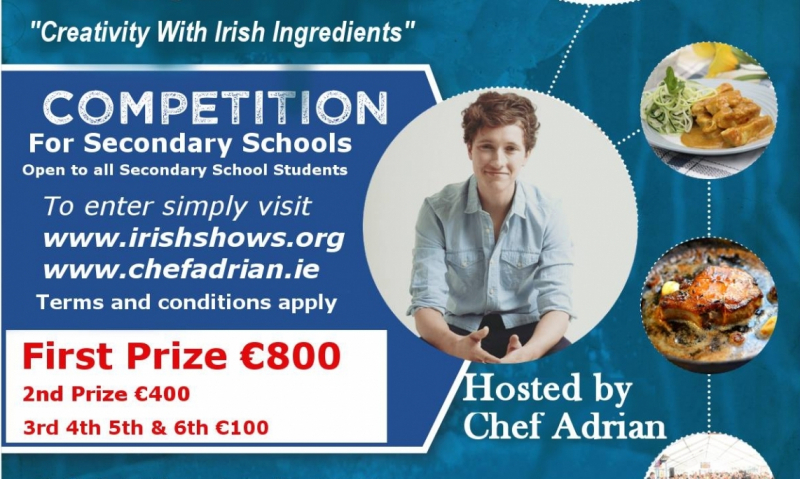 Ingredients for the live cook offs will be revealed to the competitors 10 days before each regional final. The prizes for the All Ireland Finalists this year are as follows.